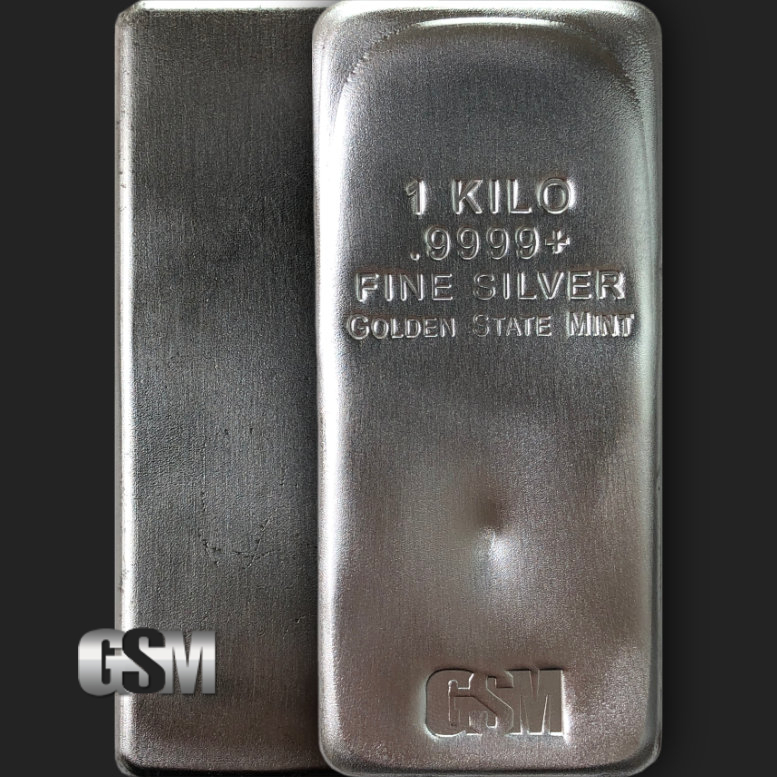 Minted in .9999+ Fine Silver, the Golden State Mint 1 Kilo (32.15 troy ounces) silver bar is an excellent investment tool in the highest purity you'll find in silver bars! The face is inscribed with " 1 Kilo .9999+ Fine Silver" and the iconic GSM logo. 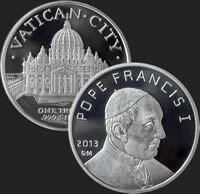 The reverse and sides have a cast finish. 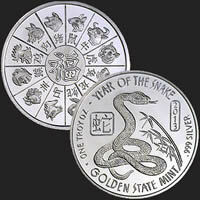 Savvy investors know that precious metals in their physical form are an important part of a well-balanced portfolio. 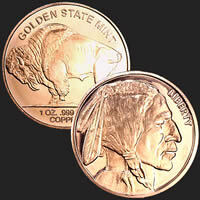 The Golden State Mint 1 Kilo silver bars are the perfect vehicle for your investment in silver bullion. As a trusted producer of the finest silver rounds and bars, our mint carries the prestigious ISO 9001 certification as a Quality Assured Company, so you can rest easy knowing you are investing in only the best precious metal products. 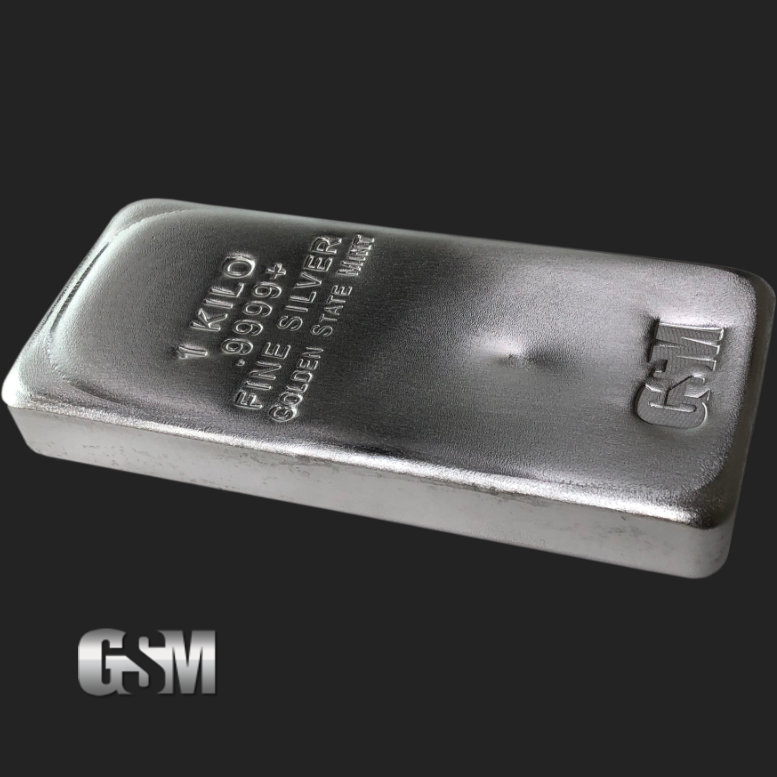 The 1 Kilo bar has the exceptional luster of silver and is an efficient way to buy, store and sell your silver investment over time given its efficient size and shape, and excellent liquidity in the physical silver market. 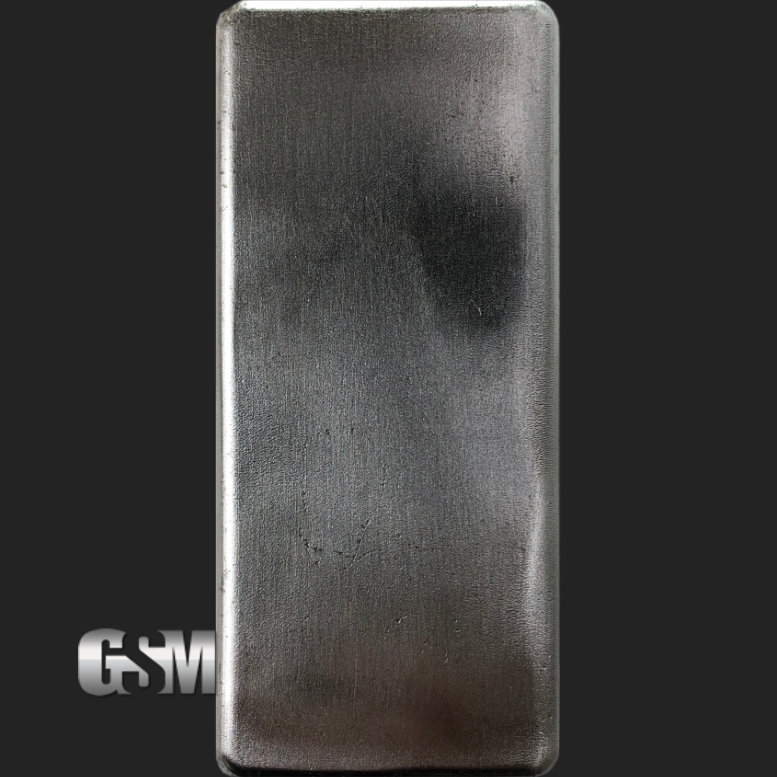 If you liked this product, you should check out our 1 oz Silver Golden State Mint Bar, 5 oz Silver Golden State Mint Bar, and 10 oz Silver Heraeus Bar. Diameter (≈): 89.08 mm x 44.75 mm | 3.508" x 1.761"
Thickness (≈): 8.52 mm | 0.335"